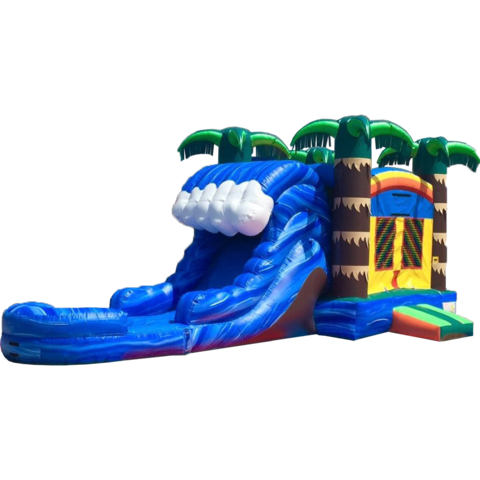 Keep the relaxing, laid-back vibes going during your next party or event with the Tropical Wave Water Slide Combo! 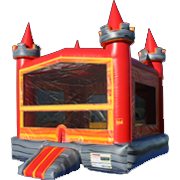 Made up of two separate inflatable attractions, this combo unit lets partygoers choose between hopping around in a spacious bounce house, or taking the attached inflatable slide for a spin. 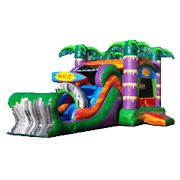 The unit boasts a unique and fun look, with large inflatable palm trees jutting out of each corner of the bounce house and shades of blue, yellow, and green that further reinforce the tropical theme. 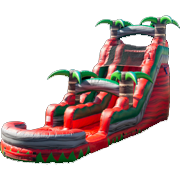 The water slide itself is decorated to look like rushing waves, foaming crest included! 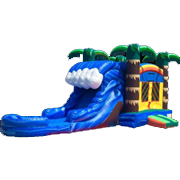 The base of the slide features an inflatable pool, making it a fantastic way to cool down in the Louisiana heat! 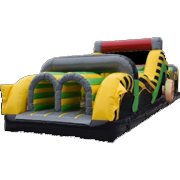 The Tropical Wave Water Slide Combo features all standard amenities, including large mesh windows on the side of the bounce house, a safety step at the entrance, and safe, non-toxic materials that lets you rest easy while partygoers hop in and out of the unit for hours on end! 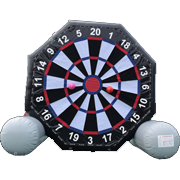 Count on Bounce E Bounce, LLC to deliver quality party attractions at attractive prices, and make your reservation today!